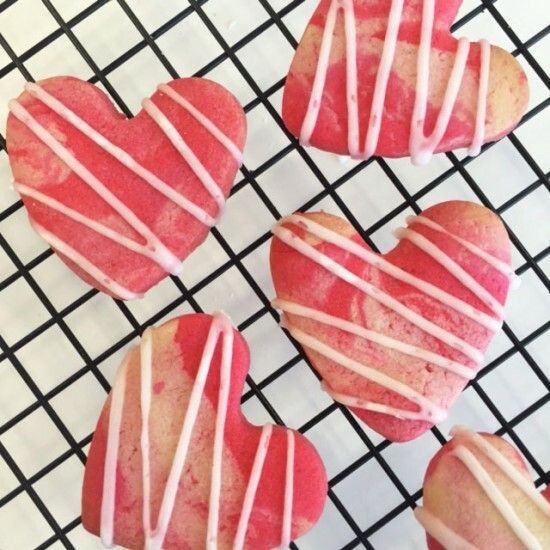 These pretty sugar cookies have a delicious raspberry flavour and simply melt in your mouth. 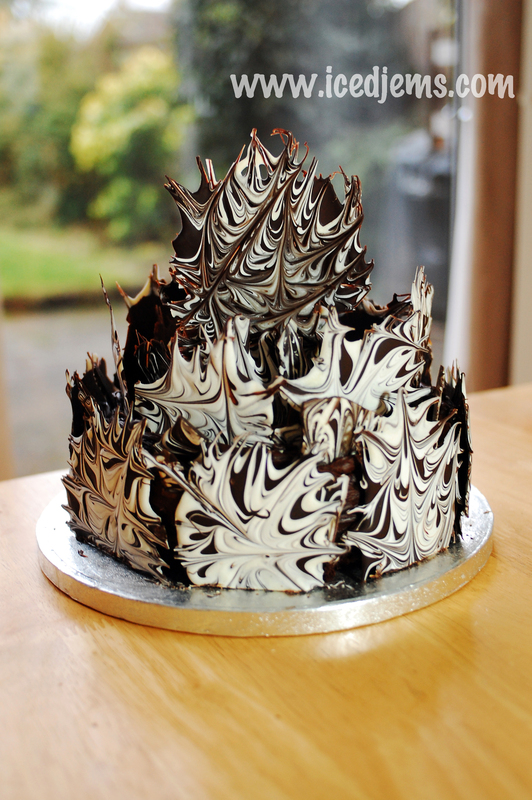 This is a very quick recipe to make and decorate, and could be made into a variety of flavours. 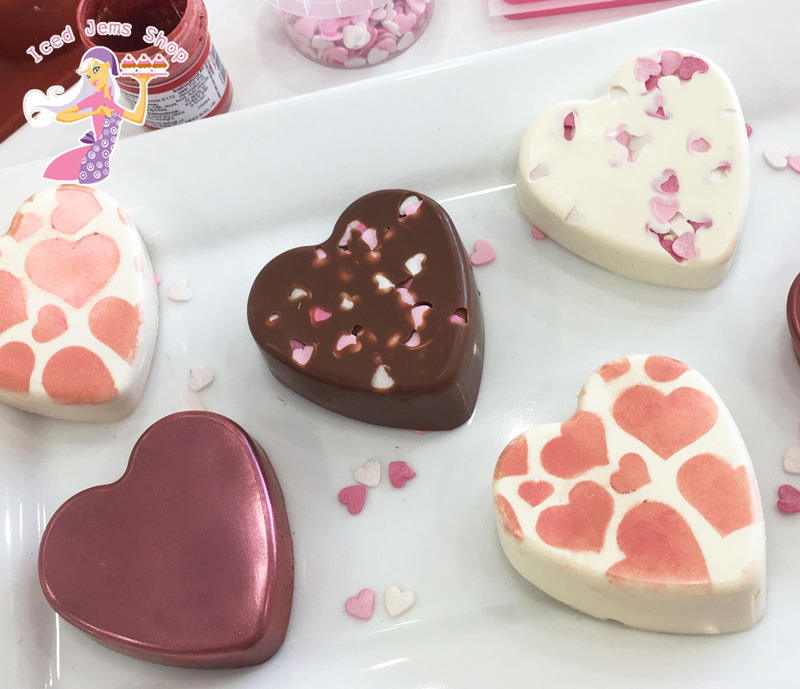 The majority of your cookie dough will be used to make the swirl lollipops, but there will be leftover dough which is perfect for making the multicoloured sugar hearts. This is a no-spread cookie dough recipe, so your cookies will keep their shape when baked. Start by creaming together your butter, flavouring and sugar. 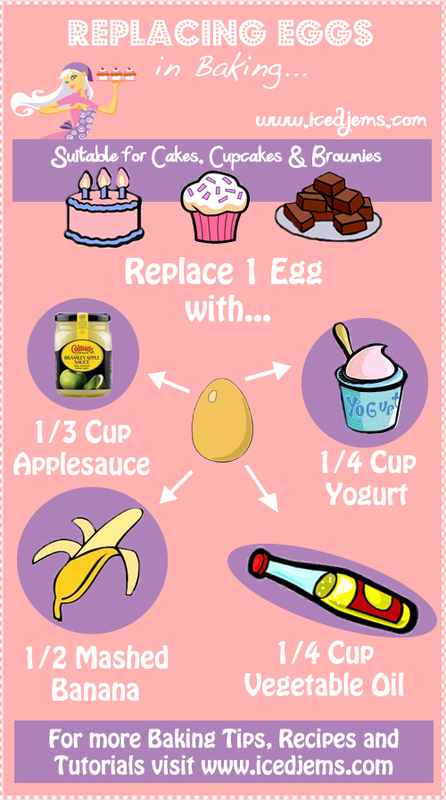 Next pour in your lightly beaten egg and mix until well combined. Add the plain flour and mix well until you have a soft cookie dough that rolls together in a ball like the picture shown above. 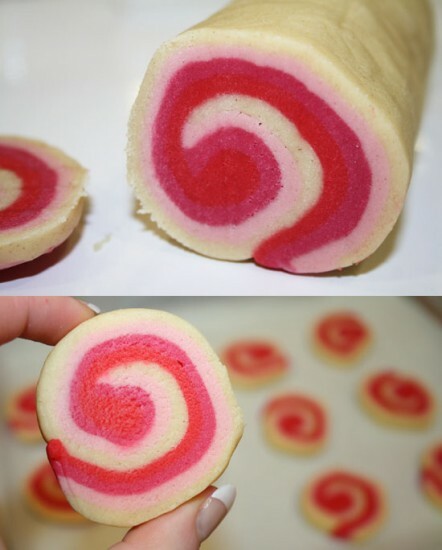 Split your cookie dough into 4 even balls, then colour the cookie dough using your paste colours. 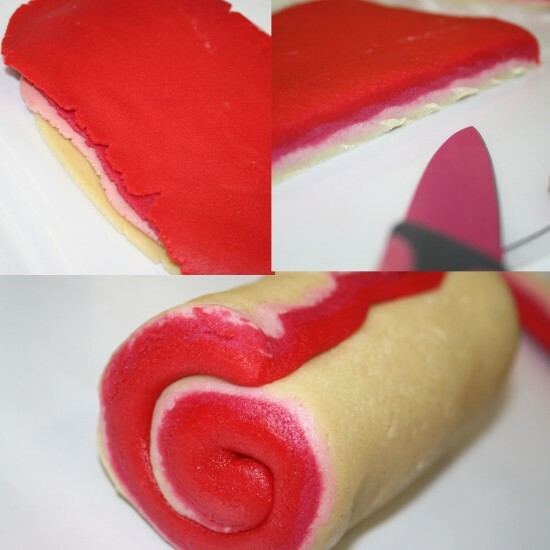 Dip a cocktail stick into your paste, then wipe it on your cookie dough and knead until the colour is evenly distributed. 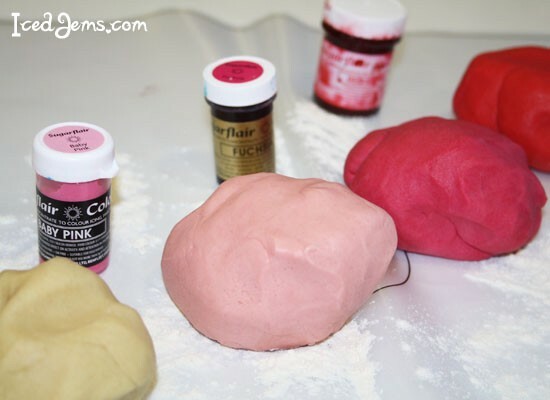 Paste colours are the only colours that will give you effective results for cookie dough, the water based colours in bottles you can get from the supermarkets will simply not work. 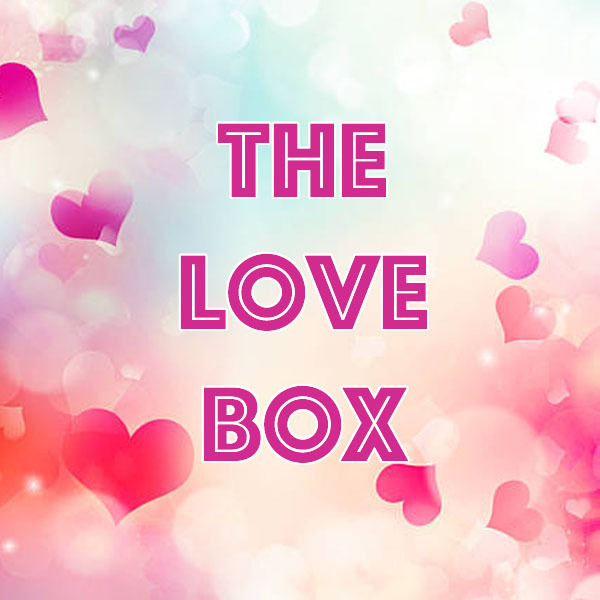 Roll each ball of cookie dough out into a rough rectangle shape, then layer on top of each other and press down gently to remove any air bubbles or gaps. Using a sharp knife, cut off any excess edges, leaving a sharp rectangle of layered cookie dough. 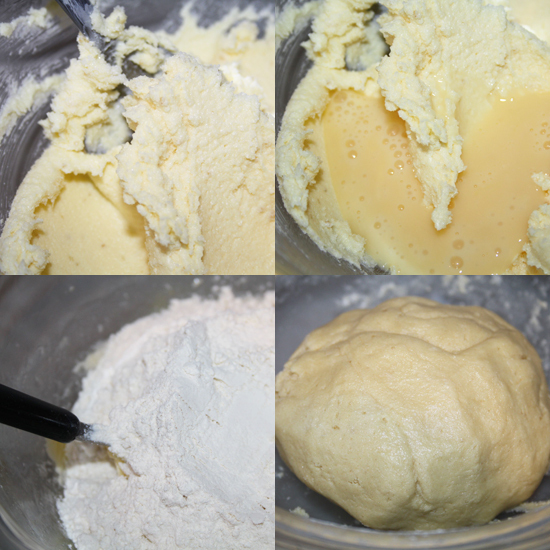 Roll your cookie dough as shown in the picture above, then transfer to the fridge for 20-30 minutes. You will want your cookie dough to be firm and chilled when you cut your slices up so they keep their shape. Preheat your oven to approx 165 degrees and line a baking tray with greaseproof paper. Your edge cut offs don’t need to go to waste! 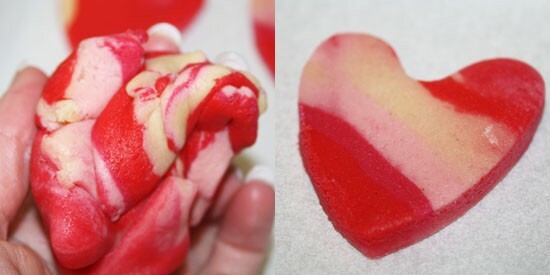 Simply roll them all together, then cut out heart shapes and you get a fun tie dye pattern in your cookies. 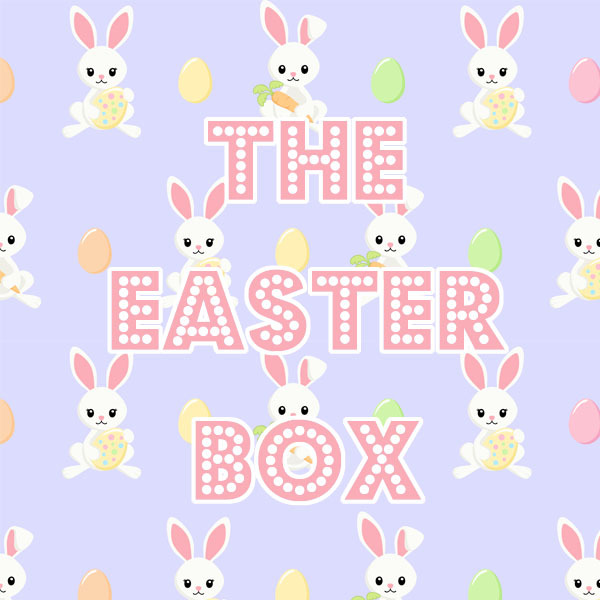 Place onto your baking tray and bake for approx 8-10 minutes until the edges start to go golden. Place onto a wire rack to cool. 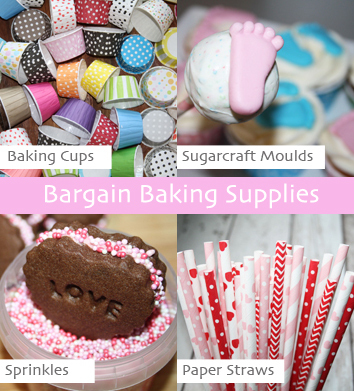 Mix your 50g of icing sugar with the water and flavour until you get a thick paste, then transfer to a piping bag and snip off the end. Pipe lines diagonally across your cookies and leave to set. Remove your roll of cookie dough from the fridge. 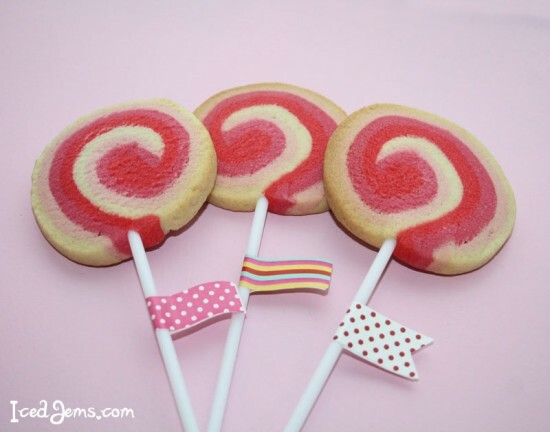 Using a very sharp knife, cut slices of your swirly pop dough off (about 1-1.5cm thick as you will need to insert a lollipop stick later). Place the slices on a baking tray and bake for 8-10 minutes. 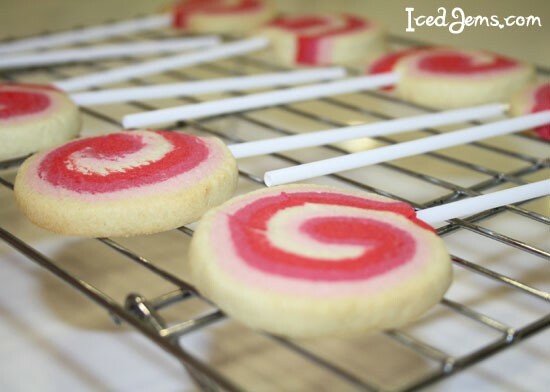 Once baked, move your cookies onto a cooling rack and insert a lollipop stick into each one, pushing it about halfway up the cookie. Once cooled, simply serve and enjoy.